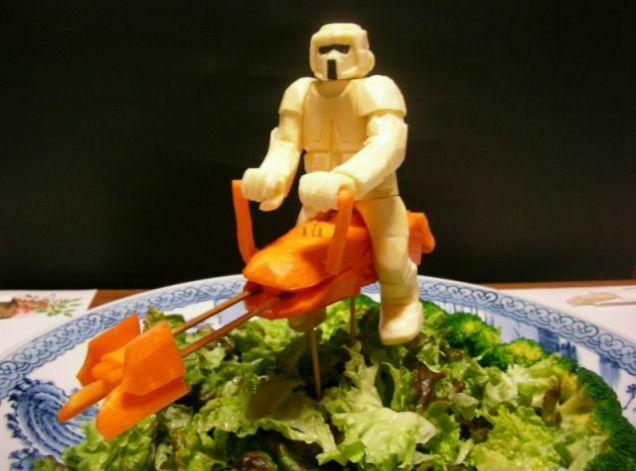 May the force food be with you! 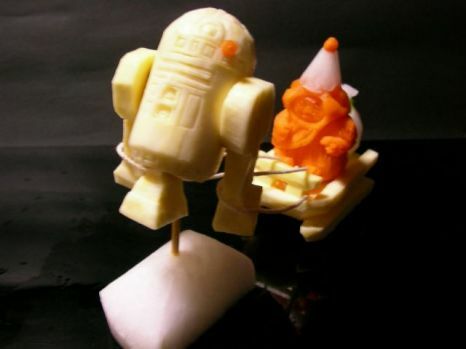 These Star Wars replicas are sculpted from vegetables – everything from carrots to sweet potato. 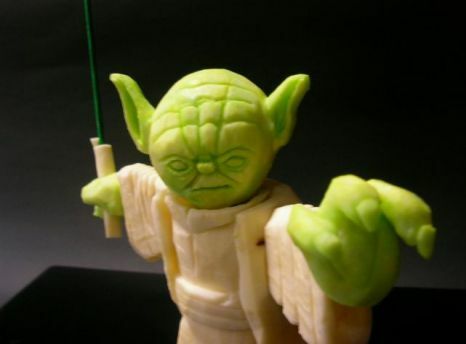 The Vegetable Star Wars treats have been created by Japanese sushi chef Okitsugu Kado for diners at his sushi restaurant. Kado spends more than ten hours carving the vegetables before painstakingly piecing them together with bamboo sticks. What a fantastic way to give aesthetic and good appearance to a vegetable dish. Hahaha… those are cool man. Good crafting! intresting pics and very nicely arts on vegetables. I can’t imagine that how much the artist is excllence. That is so awesome. Specially the Yoda in the last picture. good idea for decorating delicious cakes ! I completely agree with you Modelico. These are really very beautiful…….